There has been much talk and focus on the English Artist and Sorcerer Austin Osman Spare (1886-1956) and his Zos Kia cultus. Austin, the son of a Police Officer, grew up in South London near Kennington. His interest in art began at a very early age and luckily, was supported by his mother who aided in his creative awakening. As teenager, Spare came into contact with Mrs. Paterson, a witch who claimed decent from a line of Salem Witches. Her powers, among what seemed to be many, were based on hypnotism, divinity and spell working. Mrs. Paterson fascinated young Austin and a close friendship developed which lasted until her time of death. Mrs. Paterson had demonstrated to Austin her power to project thought forms. She, at least on one occasion cast upon the image of a beautiful young woman, which brought forth a significant sexual intensity which would later aid in the influence of his magickial awakenings. It was though this that Mrs. Paterson passed on the “power” and allowed AOS to become properly initiated into the magickial current which would drive him the rest of his earthly life. Austin's first publication, “Earth Inferno,” was privately published in 1905 and “set in stone” what was to be his path. The images of sexuality, the macabre and of death provided an intense aura of mystery and sensuality. Spare had expanded more into the inspired and powerful web of interlocking his art with magick, and how so were both intertwined! 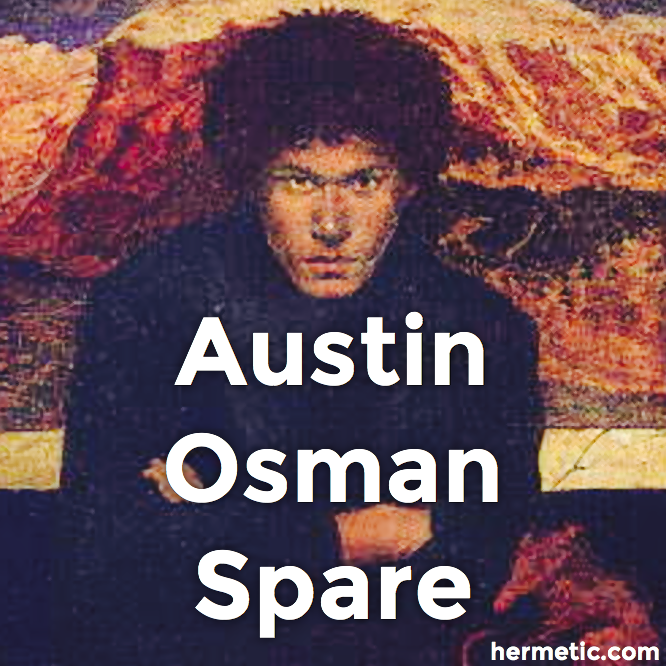 Around the year 1906, AOS had begun signing his paintings and drawings in what was to become a Sigil, which is described as a “Representation of Will, delimiting Belief and rendering it transvaluative through Desire” (Zos Kia An Introductory Essay on the Art and Sorcery of Austin Osman Spare, by Gavin Semple, FLUGUR LIMITED, Oct. 31, 1995) for which much of the latent experience of Belief can be absorbed into an Eros-Thanatos combination of life making elementals. The publication, “A Book of Satyrs” was published and further demonstrated Austin's talent for the hidden and truth - devoured reality beyond the watchful and often passed eye. Austin Osman Spare signed the Oath of a Probationer in the presence of Aleister Crowley in 1909, assuming the magickial name of YIHOVEAUM, which Spare would later have a slight falling out with Crowley, thus never reaching beyond the Probationer initiation of the A:A. Spare continued to develop and tap into what is to be loosely called the Sabbatic Craft, based on the dreaming aspects of witchcraft and working with extraterrestrial spirits. His development of the Zos Kia system came to an awakening with the publication of the grimoire, “The Book of Pleasure” in 1913 which described Kia as: “The Absolute freedom which being free is mighty enough to be 'reality' at any time. Therefore is not potential or manifest (except as its instant possibility) by ideas of freedom or 'means,' but by the Ego being free to receive it, by being free of ideas about it and not believing. The less said of it (Kia) the less obscure it is.” Zos was described as the realization of the self as entity, belief in flesh of which “The body of the whole” described each method of focus and realization. Beyond this time, AOS created into day side reality the Alphabet of Desire, a system of point of congress and otherness, a grammar unspeakable yes exceptionally understood in the points of creation and vision. Inspiration against all costs. This system would allow a union of Zos and Kia and behold a view and vision of strength and wonder. Sigils would be designed in a fashion which would describe and encode the actual sigil with the desire of the sorcerer. Once the sigil is designed, one would concentrate it with focusing upon it with a developed gnosis contributed to what Spare termed the “death posture,” of which one looses all connection with Zos through extreme discomfort and possibly a black out. The result would be the absorption of the sigil until it was forgot by the conscious. The subconscious can not operate towards the sigil's goal and purpose until all was forgot by the conscious. 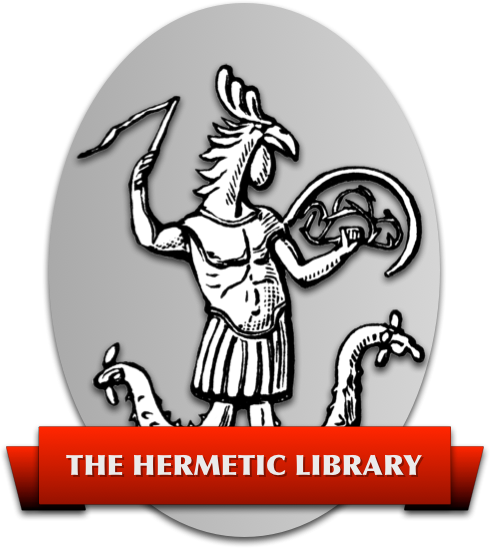 This would prove rather difficult for the beginner and only encrypted in Spare's writings of which the acquainted student could understand and learn from this system. Austin Spare also was later adept in the practice of dream control and assuming various god forms thereof. The most significant forms were of Thanatos and a building association with the Black Eagle. It was by this that Spare was present in the Astral Witches Sabbat, a conclave of desired astrals joined in a blissful union of their belief. Much continues in this latent form beyond this time. Austin Spare's work with Atavistic resurgence has proved well linked with the Zos Kia cultus. Atavisms are a resurgence of characteristics which have elapsed many generations. It is also possible to connect with pre-human embodiments through such elementals. Atavisms exist in the deepest recesses of the mind and often are characterized as half beast, half man. Such creatures do not emerge spontaneously, however can be invoked through several methods of automatic “shamanism” and focus pathworkings. An article by Kenneth Grant published in Cavendish's “Man, Myth and Magic” further delves into examples of AOS and his magickial abilities. “Spare's 'formula of atavistic resurgence' was based on the use of symbolic pictures, which gave a visible form to various atavistic urges and desires deep within the mind. He claimed that he had only to visualize one of these pictures for the atavistic impulse to surge up. An example which he gave was an occasion when he needed to move a heavy load of timber, with no one to help him. Spare closed his eyes for a while and visualized a picture which symbolized a wish for the strength of tigers. Almost immediately he sensed an inner response. He then felt a tremendous upsurge of energy sweep through his body. For a moment he felt like a sapling bent by the onslaught of a mighty wind. With a great effort of will, he steadied himself and directed the force to its proper object. A great calm descended, and he found himself able to carry the load easily. On another occasion, two people pressed Spare to conjure up an atavistic spirit in visible form. He warned them of the dangers involved, explaining what these creatures exist within the mind at levels not normally in communion with the conscious mind; that it was foolish to evoke them because they embodied the atavistic urges and desires of those who would behold them. But the couple insisted. Spare again used the symbolic picture method. He closed his eyes and waited. It was not long before a green substance like tenuous seaweed began to invade the room, particularly obscuring the objects it contained. It resembled a coiling mass of vapour, which slowly congealed in a definite shape. It gained more and more substance with each successive moment until the terrified dabblers panicked and begged Spare to banish it. Before it faded, however, they saw a vast face peering out of the mist; the eyes of it were like pools of black and burning oil. Spare died in 1956, in a basement flat in Brixton, in poverty and obscurity. The essence of sorcery through this method draws lines of mental danger to those who normally should be of sound and strong mind, for even an obsession weakness, if preyed upon by such elementals, could aid to madness and failure.